Las Vegas means different things to different people. Some go for the Casino’s, some go for the fine dining, some go for the night life. Whatever your reason, chartering an aircraft from Miami to Las Vegas can top off what might already be an unforgettable trip. Heavy jets typically accommodate 10 – 16 passengers, offering a large standup cabin, over 6 ft, with plenty of luggage space, on board flight attendant, complete galley and a fully enclosed lavatory. Some aircraft feature sleeping configurations, WIFI, crew lavatory for additional passenger comfort and privacy. 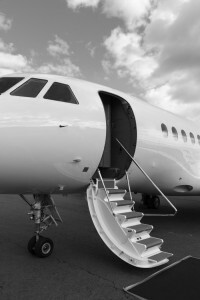 Typical aircraft are the Challenger 604, Challenger 605, Falcon 900, Falcon 7X, Gulfstream G450, Gulfstream G550, Gulfstream G650, Embraer Legacy 650. Most midsize jets offer a non-stop flight, comfortable seating for up to 8 passengers, stand up cabin of 5’7 ft. and an enclosed lavatory. Some aircraft offer on board WIFI, outside luggage compartment and onboard entertainment system. Mid size jets include the Lear 60XR, Hawker 800XP (850/900), Citation XLS+, Embraer 500. Light jets will require a fuel stop, which can be used for a quick lunch at an interesting location. Some aircraft are equipped with WIFI, enclosed lavatory and have a cabin height of 4’8ft. The light jets offer a quick and economical way to avoid commercial airlines, they utilize the same private aviation facilities as the Heavy and Mid size jets.